Prairie Organic Spirits, the nation’s leading organic spirits brand, is toasting to the environment with a new, industry-leading initiative. 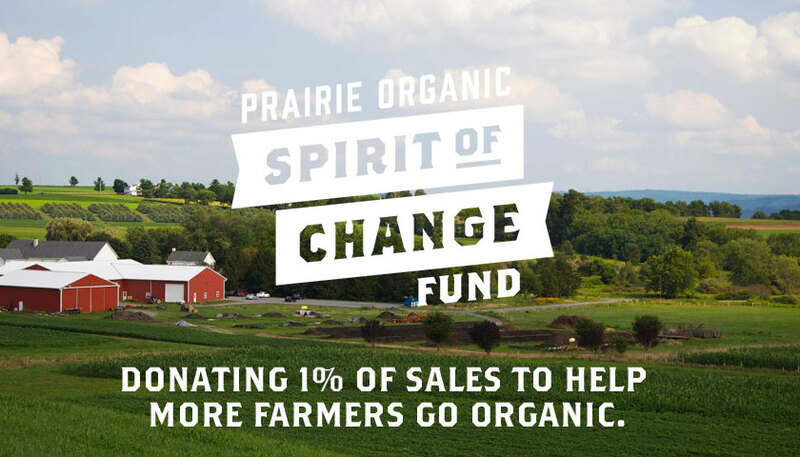 Through its “Spirit of Change Fund,” Prairie Organic will commit 1 percent of sales to support the next generation of organic farmers and to help transition more conventional farmland to organic. In support of Prairie Organic’s mission to grow organic spirits for the land, farmers and future, the brand’s effort is part of a larger goal: to have organic spirits equal 5 percent of alcohol category sales. This goal isn’t arbitrary. Organic food is now mainstream, and more than 80 percent of U.S. households purchase organic food or beverages on a regular basis [source: Organic Trade Association 2017 survey], accounting for roughly 5 percent of total U.S. food and beverage sales. Currently, organic alcohol makes up less than 1 percent of total alcohol industry sales. The Spirit of Change Fund’s primary partner will be Rodale Institute, a non-profit committed to growing the organic movement through research, farmer training and consumer education. Initially, Prairie Organic will provide 10 scholarships for interns accepted into Rodale Institute’s Next Generation Scholarship Program, which provides practical, hands-on organic agriculture knowledge and skills to future organic farmers. Prairie Organic Spirits is calling on others in the industry, including distributors, retailers, bars and restaurants, to work toward the same ambitious goal. If organic spirits grew to 5 percent of total U.S. alcohol sales, the potential impact would be immense: approximately 8.0 million acres of conventional farmland would be converted to organic and approximately 7.4 million pounds of pesticides would go unused annually. In addition to the Spirit of Change Fund, Prairie Organic also has a company-wide initiative called OneTeam G.R.E.E.N., which unites its employees, partners, suppliers and community to have a positive impact on society and the environment by creating a more sustainable company and industry. This initiative aims to increase corporate sustainability practices in addition to farming organically and includes reducing electrical usage, establishing better water conservation practices, decreasing waste sent to landfills, and promoting recycling within its facilities.